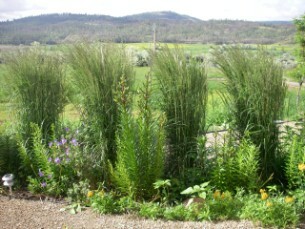 Calamagrostis acutiflora x is one of most used ornamental grasses in the Kamloops region. It is stately, yet willowy and graceful enough to move with the breeze. 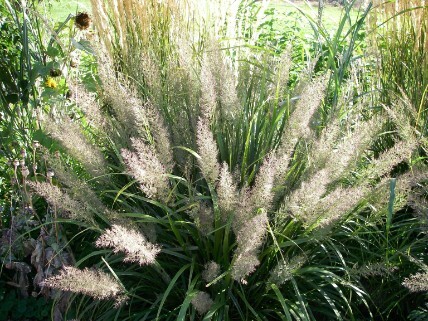 Also known as "feather reed grass", these grasses are cool season, strictly clump forming. 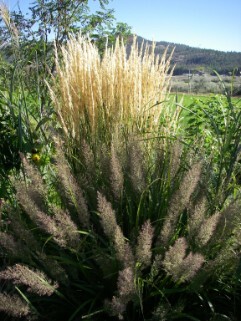 These grasses start growing in early spring, and start to flower in early summer. 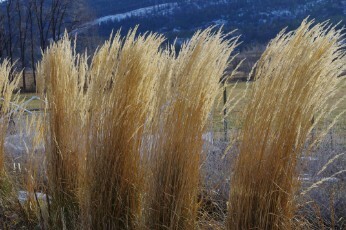 They hold their flowers throughout the winter, adding interest to our landscapes. 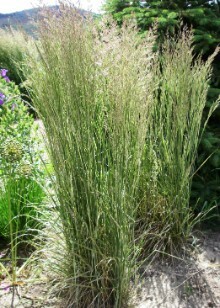 Calamagrostis brachytricha (Korean feather reed grass) glossy green leaves, 3' tall flowers are pink tinged with silver, opening late August/early September, 4-5' tall zone 4 can tolerate light shade and still do very well goes dormant for the winter.